Collection of Ellie Wright, 4-14-08. 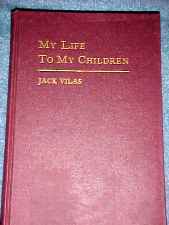 My Life To My Children by Jack Vilas is a reprinted memoir from 1929. It was originally written only for his children and close friends, and was not available to the general public until now. Enjoy devilish boyhood pranks and delightful descriptions of “shackers” from northern Wisconsin nearly one hundred years ago. 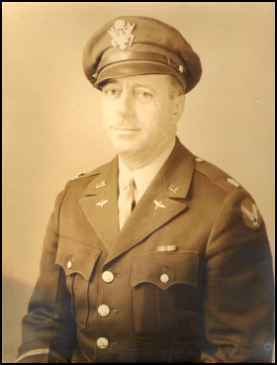 As a graduate pilot from the Glenn Hammond Curtiss Flight School, Vilas earned Hydroplane Pilot License #6 from the American Aero Society. Six weeks later, he was the first person to attempt and complete a 53-mile flight across Lake Michigan. With no compass or flight instruments, he successfully flew a 75-horsepowered Curtiss Flying Boat from St. Joseph, Michigan to Grant Park, Illinois, in 1913. Purposefully edited for a youthful audience and beyond, this book contains footnote descriptions of unfamiliar 20th-century terms and background information on historic pioneer aviators who Vilas knew. The Afterward contains a Vilas timetable, a listing of historic markers dedicated to him and his accomplishments after the memoir was written. My Life To My Children is an entertaining MUST READ for lovers of pioneer aviation and local northern Wisconsin history. Soft cover: perfect bound, 235 pages, 21 original newspaper clippings, 35 photographs. Order at: Rustic Books LLC or bring this ad to your local book store. Thank you for the valuable information you shared with me, because the book is now mine! I was in northern Wisconsin at the Boulder Junction History Day this past weekend when a gentleman had a petition going hoping to see how much interest there would be in a Jack Vilas Day. (This is in Vilas County by the way.) There is a State historical marker at Trout Lake near where we were that details the forest fire patrol plane of Jack Vilas. Anyway, this elderly gentleman said, "With all the water around here wouldn't it be neat to have an antique pontoon plane fly-in to honor Jack Vilas?" I'm starting to gather information to help him literally get it off the ground. Anyway, I will keep your e-mail and address so I can make a copy of the book cover. I understand that it is spotted and worn but maybe those can be touched up in your computer. Your school, museum, local theater, historical society or organization can make arrangements for a performance or the script for a one-person, one-act play entitled The Water Flier: A Tribute to Jack Vilas, Pioneer Aviator. 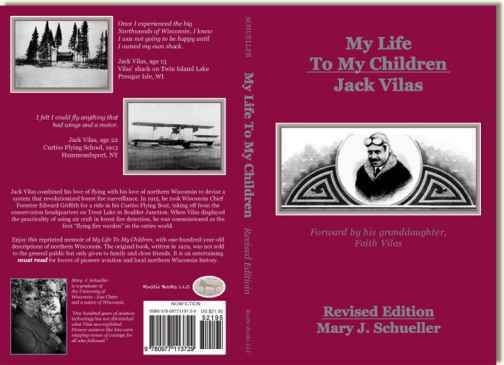 The play highlights important events in the personal life of Jack Vilas in addition to: his lessons at the Glenn Curtiss Flight School, his hydroplane pilots' license test, his trip over Lake Michigan in 1913, and his forest fire surveillance trips over northern Wisconsin in his Curtiss Flying Boat in 1915. The performance is 45 minutes long and comes with suggested music and a playbill. Please contact the playwright for royalty fees at: 262-628-9331 or mary@rusticbooks.net. To order The Water Flier: A Tribute To Jack Vilas, Pioneer Aviator please click here.